Diarrheal diseases, most of which originate from food or water, are the highest cause of death in Ethiopia overall and the 3rd highest cause of death among children under five, according to the World Health Organization (WHO). Child malnutrition, which diarrheal disease contributes to, is an underlying cause of 28% of child (under five) mortality. 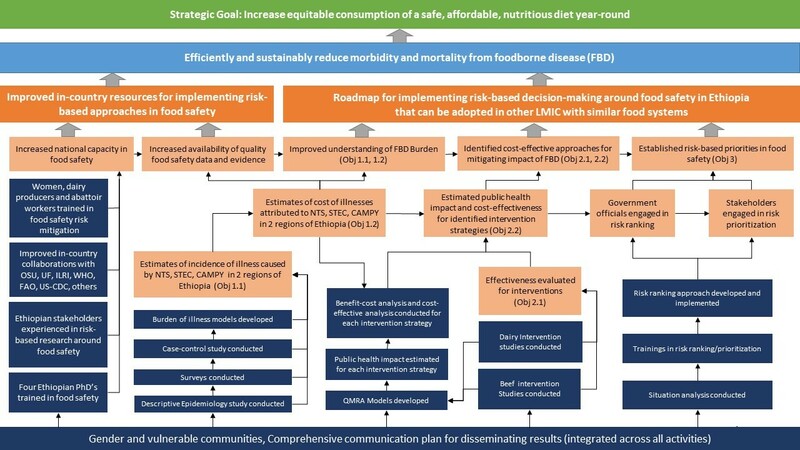 The overarching goal of TARTARE is to efficiently and sustainably reduce foodborne disease mortality and morbidity by developing and implementing a risk-based framework for food safety management and resource allocation in low and middle income countries that will increase equitable consumption of a safe, affordable and nutritious diet. 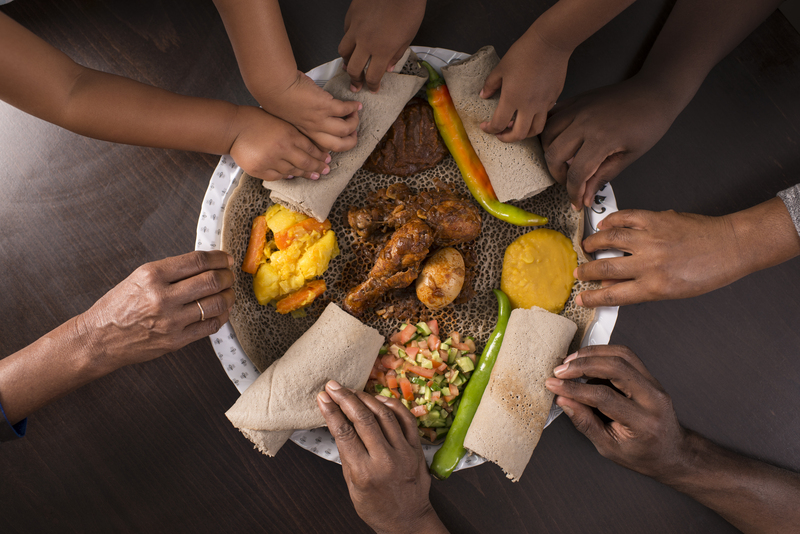 Using Ethiopia as a model, this framework will be developed in full collaboration with in-country and international partners to ensure food safety risk management measures are managed in culturally appropriate and economically feasible ways. What are the public health burden and costs associated with non-typhoidal Salmonella, diarrheagenic Escherichia coli and Campylobacter spp in Ethiopia? What are cost-effective, gender sensitive and socio-culturally acceptable approaches to mitigating public health risks associated with non-typhoidal Salmonella, diarrheagenic Escherichia coli and Campylobacter spp in raw beef and dairy products? Where should resources be allocated nationally to effectively reduce foodborne disease risk from all causes in Ethiopia? Epidemiologic studies will be conducted to estimate the incidence of illness caused by the selected pathogens and the associated economic and public health burden will be estimated for two regions in Ethiopia. 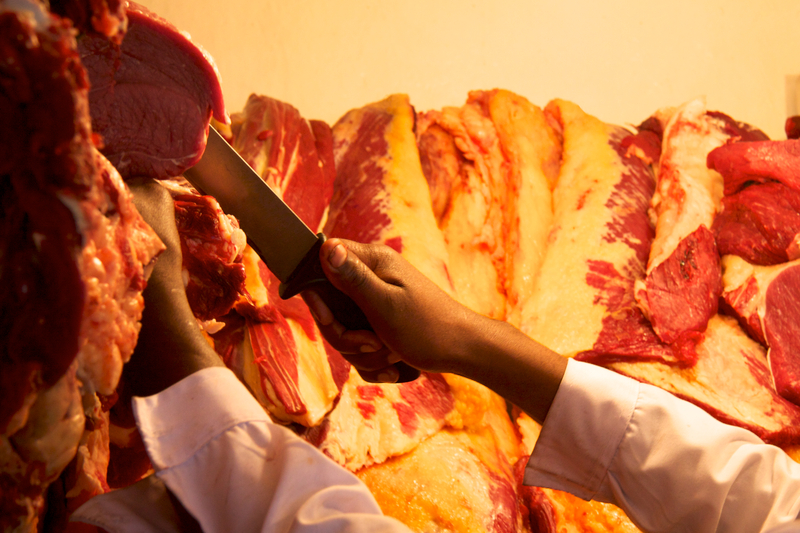 Two training interventions and two processing interventions aimed at improving the safety of raw beef and raw dairy products will be developed and evaluated for their ability to change knowledge, attitudes and practices around food safety as well as reduce microbial contamination for the targeted pathogens. Finally, Ethiopian decision makers will be engaged in a risk ranking and risk prioritization exercise that will guide future investments in food safety. Knowledge, information and data generated from TARTARE will be shared with in-country stakeholders to assist with their determination of food safety priorities and actions. This project builds on the strong foundation of food safety work conducted by The Ohio State University (OSU), Global One Health initiative in Ethiopia (GOHi-ET), University of Florida (UF) Feed the Future Innovation Lab for Livestock Systems (LSIL), and International Livestock Research Institute (ILRI) as well as partner organizations, including Ethiopian Public Health Institute (EPHI), Ethiopian Food, Medicine and Healthcare Administration and Control Authority (FMHACA), relevant units within the Ministry of Agriculture and Livestock Resources (MOALR) such as Ethiopian Meat and Dairy Development Institute (EMDIDI), University of Gondar (UG), Haramaya University (HU), Addis Ababa University (AAU), the Food and Agriculture Organization of the United Nations (FAO) and the World Health Organization (WHO). Additional partners include John Bassett Inc, 3M and Fintrac.